Mix your water, olive oil and sugar together. Create a mound with your flour and salt. Then make a hole in the centre to create a well. Slowly incorporate your water by pouring into the centre of the flour and mixing in the flour as you go. Once all incorporated knead your dough for 5 minutes. The dough should not be sticky if so add a little bit more flour. The dough should be firm and elastic. Proof this by placing in an oiled bowl in a warm place, covered with a moist cloth for an hour. By now the dough should be double in size. Flour a work surface and place your dough on it. Break the dough up into 8 pieces. 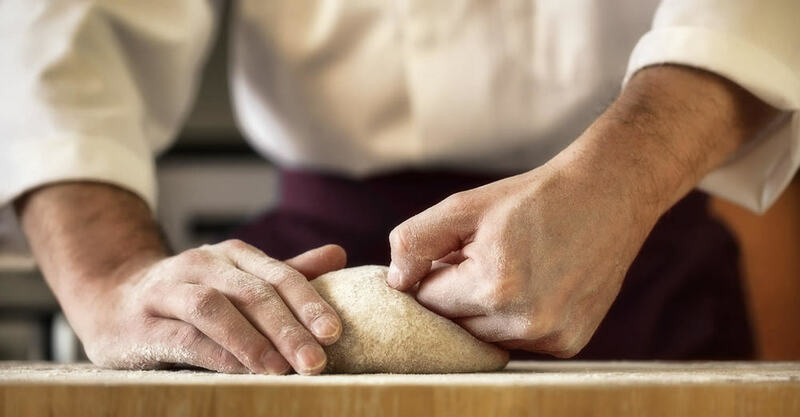 Shape your dough into balls and roll it as thin as possible. You don’t want the bases to sit for to long souse within 30 minutes. Now for the best part. Spread a thin layer of home-made tomato sauce and any of your favourite pizza toppings.